Our Seattle office space is conveniently located in the heart of the central business district on the 32nd floor of the Safeco Plaza Building, offering beautiful, panoramic views of downtown Seattle. Whether you are looking for a private, full-time executive office, a virtual office or a conference room, we can accommodate your needs. We also provide our clients access to all of our support services, which includes mail forwarding and sending, telephone answering, voicemail, copy center, fax, courier, word processing and other administrative services. In addition, we are locally owned and operated and very proud to be a long-time member of the Better Business Bureau and the global Alliance Business Centers Network. 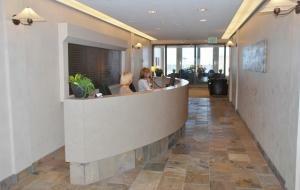 If you are looking for office space in Seattle, make sure to check us out!